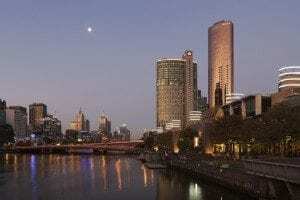 Melbourne is the perfect city for a weekend getaway. Stay at Holiday Inn Melbourne on Flinders in the Melbourne CBD and save on accommodation and breakfast. Kids Stay & Eat Free! Children under 12 stay and eat free. 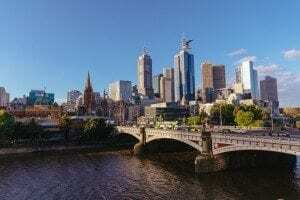 Melbourne isn’t just the most liveable city in the World, a hub of arts and culture, fashion, food, sport and entertainment; it is also an amazing city for holidays and short visits. From exploring the city and its fascinating laneways to its incredible restaurants and nightlife, it is truly a 24-hour metropolis. Stay at Holiday Inn Melbourne on Flinders and be in the heart of it all. Situated on the corner of Spencer Street and Flinders Lane, our guests enjoy the ability to walk to many of the city’s best attractions. Plus with trams at the doorstep and just a 5-minute walk to Melbourne’s Southern Cross train station, our hotel is ideally located for a city staycation. 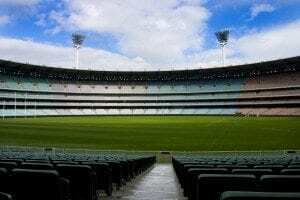 Holiday Inn Melbourne on Flinders is located within walking distance to Etihad Stadium where many of the AFL games are played. 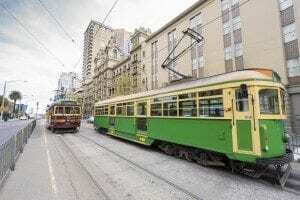 Guests can choose an easy 15 minute to the stadium or take the Docklands Tram around Harbour Esplanade. Also close by is the home of AFL, the MCG. An enjoyable 20-minute walk along the Yarra River or a short tram ride down Flinders Street will get you to the game. Since 1997, Crown Casino & Entertainment Complex has amazed and entertained. Operating 24/7, people choose from gaming, restaurants, nightclubs and shopping. Located on the south bank of the Yarra River, this dazzling entertainment precinct hosts many of Australia’s premier and most televised functions. It’s choreographed water fountains and pyrotechnics have become an iconic part of Melbourne’s cityscape by night. Just a 7-minute walk or a short tram ride directly down Spencer St from Holiday Inn Melbourne on Flinders, Crown Casino & Entertainment Complex is an ideal day or night out. Earning its reputation as Australia’s fashion capital, Melbourne offers an array of options for those wishing to shop. The city’s historical laneways are brimming with boutiques and speciality stores, attracting people from all over the globe. A unique experience, exploring the laneways is like a treasure hunt and the best fun is in seeing what you can find. Melbourne’s famous Bourke Street Mall is the ultimate retail shopping precinct with major department stores and chain stores. Several historical arcades run off Bourke Street Mall including GPO Melbourne, Emporium, Royal Arcade and The Strand Arcade. 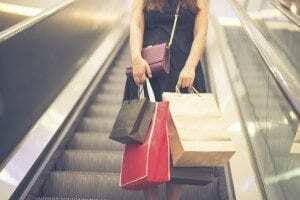 Take in some of the city’s rich architecture and history as you shop til you drop. See all those landmarks Melbourne is so famous for. A ride on the City Circle Tram will take you past the best sights with an audio commentary on landmarks and attractions. Melbourne’s much loved heritage trams scoot past Melbourne Museum, Parliament House, Docklands, Federation Square, Melbourne Star, Melbourne Aquarium and Princess Theatre. Hop on and off as you please and explore everything the city has to offer. Best of all the City Circle Tram is free! As an Arts centred city, Melbourne has many theatres and galleries. The Arts Centre Melbourne is not only a must-see tourist attraction with its incredible spire reaching into the sky; it also contains many of the theatres and concert halls where the city’s performances are held. Located along the Yarra River and St Kilda Road, the complex is famous for hosting regular performances by Opera Australia, The Australian Ballet, the Melbourne Theatre Company and the Melbourne Symphony Orchestra, with Hamer Hall and Sidney Myer Music Bowl providing an enriching experience in their hosting of the Art Precinct’s concerts and shows. Melbourne’s iconic art gallery, National Gallery of Victoria, was founded in 1861 and since then has become Australia’s oldest, largest and most visited art museum. 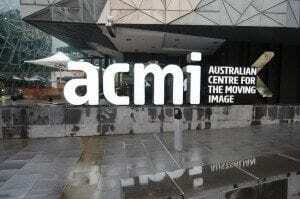 Located in the Melbourne Arts Precinct on St Kilda Road, the gallery has a number of permanent exhibitions with collections from all over the World and through historical eras. The gallery hosts many special exhibitions, workshops and events that are open to the public. Plan a special weekend in Melbourne. Stay at Holiday Inn Melbourne on Flinders and save with our best weekend hotel deal. Terms & Conditions apply. Package is subject to availability and valid for Friday, Saturday or Sunday arrivals only. Late check-out is subject to availability. Bookings must be made within 3 days prior to check in. A full non-refundable deposit is required at the time of booking. To make family travel even easier, kids under 12 stay and eat free at Holiday Inn Melbourne on Flinders. Up to four kids ages 12 and under eat free any time of the day at Holiday Inn Melbourne on Flinders when dining with two paying adults.